Use Realeather Button Studs as a closure for leather bracelets and wristbands, handbags, and other leather working projects. 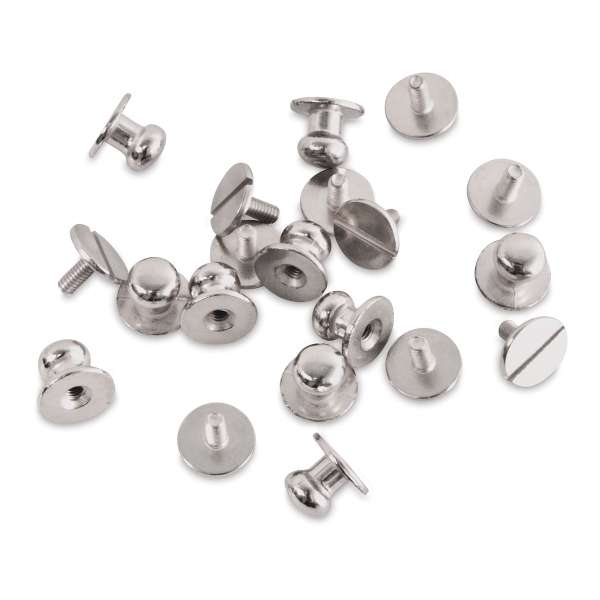 With a screw back, they're quick and easy to add to your work. Choose an Antique Brass or Nickel-Plated finish. ® Realeather is a registered trademark.